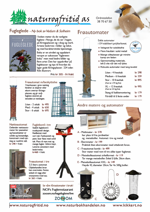 A Field Guide to the Birds of the Atlantic Islands omhandler 450 arter fra Azorene, Madeira, Capp Verde og Kanariøyene. Boka sammenfatter fuglelivet i dette området. Anbefales som håndbok for turer til området. This is the first comprehensive field guide dealing exclusively with the birds of this spectacular region. It covers all resident, migrant and vagrant species found in Macaronesia. Over 450 species are illustrated with full details of all the plumages and major races likely to be encountered. Concise text describes identification, status, range, habits and voice with range maps for each species. This authoritative book will not only be an indispensable guide to the visiting birder, but also a vital tool for those engaged in work to conserve and study the avifauna of this region. The Atlantic Islands shelters a remarkable diversity of birds, many seriously endangered with small and vulnerable ranges.